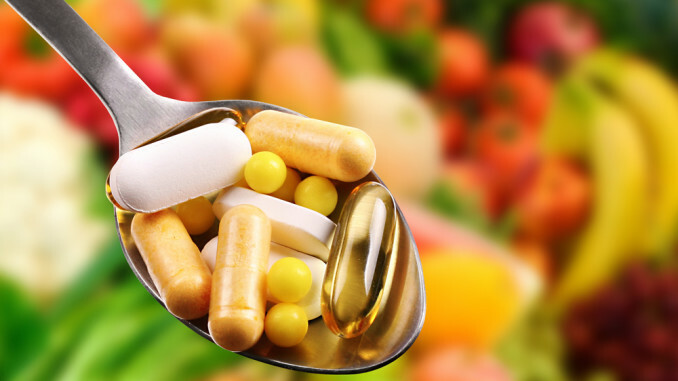 Do We Really Need to Take Vitamins and Minerals? October 25, 2016 November 5, 2016 Alan Organ, M.D., Ph.D.Leave a Comment on Do We Really Need to Take Vitamins and Minerals? Doctors have been taught to think that we get all the nutrition our body needs from just eating a balanced diet. That may have been true 50 to 100 years ago, but most of us, today, don't eat a balanced diet. In fact, most of the food we eat today does not contain the nutrients in it that our parents or grandparents ate. As a result, many of us are nutritionally deficient in the necessary nutrients our bodies require. The American Medical Association was so concerned about this deficiency that it published an editorial in 2002 that recommended that their doctors prescribe vitamins and minerals to all of their patients, including children. As I talk to my physician friends or people asking for nutritional advice, I find that most people do not even understand what vitamins and minerals actually do in our bodies. So I went back to the literature and put together a series of charts to look at what nutrients (vitamins, minerals and acids) are necessary to work together for a healthy body and mind. Before I go into more depth about what vitamins and minerals actually do, it's important to talk about where they are usually found. In medical school, we were taught all we need to know about nutrition, including vitamins and minerals, in our first biochemistry classes. Unless you were interested in nutrition, this was about the extent of our education. Fifty to one hundred years ago, most produce was farmed by individual families. Proper nutrients were put into the soil and properly harvested food was more nutritious. Today, most farming is commercial with few farms owned by individuals. Few nutrients except for nitrogen, phosphorus and potassium are added back to the soil. Produce is harvested early, treated with pesticides to increase yields and not nearly as nutritious as the food our parents or grandparents ate. In 1997, a study from Rutgers study showed the difference between organic produce and conventional produce. The amount of nutrients in the organic produce was significantly greater than conventional produce. It remains the same today in more recent studies. So what's the significance of these studies? It means that the food we eat today doesn't contain all of the biologically-active vitamins and minerals our bodies require. We are what we eat! (or don't eat!). The tables below show what what each of the vitamins, minerals and acids our bodies need. They also show what each nutrient does, good sources for the nutrient and what the signs of a deficiency might be. One of the columns has the RDA, RDI and SONA values if available. RDA is the Recommended Daily Allowance, which is the minimal amounts recommended by UK health authorities to prevent deficiencies. RDI is the Recommended Daily Intake, which is the minimum amounts recommended by US health authorities to prevent deficiencies. The SONA is the Suggested Optimal Nutritional Allowance developed by Dr. Emanuel Cheraskin to maintain good health. What other factors can create defiencies? Previous Post Previous post: Anti-Aging or Lifestyle Change – Which Term is Best Used When Talking About Delaying the Onset of Diseases of the Elderly?